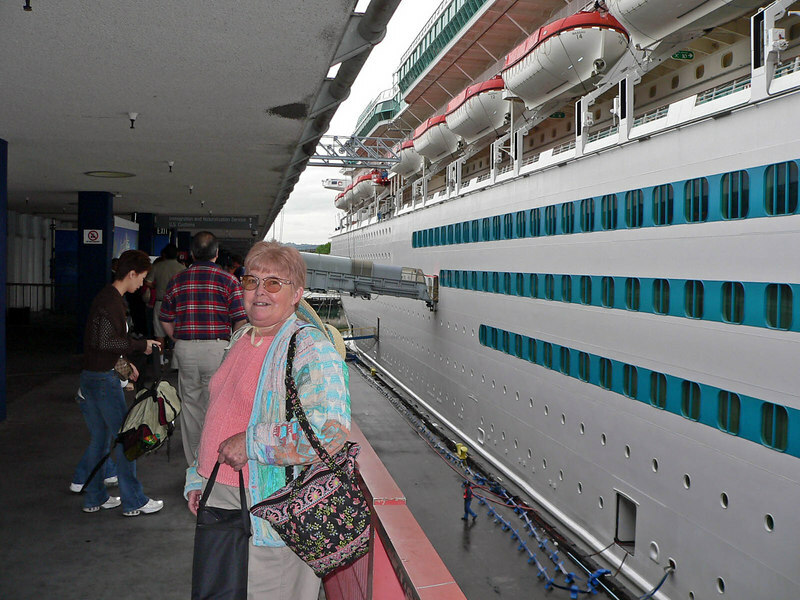 Mom as we embark on the Monarch of the Seas in LA. I was not supposed to take this as we were still on the dock. But I'm wondering why since I was able to take pics of the same dock from my balcony once we boarded?? ?Another government security decision that makes NO SENSE!! !